Abstract: CosmeticTattoo.org has developed guidelines for cosmetic tattoo training standards that will assist course participants to gauge which training events are in compliance with minimum international benchmarks for vocational education. The standard of training being provided by members of the cosmetic tattoo industry is an ongoing topic of concern for both established training providers and course participants, often this is due to a failure to comply with expected educational benchmarks particularly in the area of core competency training. Overwhelmingly the major issues appear to relate to the lack of formal credentials in training and assessment on the part of the course providers and or the non compliance with regulatory requirements or anticipated educational framework. After extensive consultation and consideration we have created the CosmeticTattoo.Org - Training Standards Compliance (CTO-TSC™) guidelines to assist prospective students and course participants to quickly determine if their proposed course meets the minimum standard that would be expected for any vocational education provider. Course providers are encouraged to ensure that they meet minimum international benchmarks by reference to the guidelines either via external or internal auditing. Students and models are encouraged to ensure that your training provider is CosmeticTattoo.Org - Training Standards Compliant by checking their promotional material for the CTO-TSC™ declaration or our CTO-TSC™ logo (as per below), naturally you should also conduct the unusual due diligence that you would prior to making any purchase or becoming involved in any training event. The intent is to assist both training providers and course participants with a straightforward quick checklist for the minimum core standards that should be expected to legitimately provide vocational education. We are unapologetic in stating that it is unreasonable to charge course participants large sums of money to provide vocational training in instances where the presenter themselves lacks training and assessment qualifications or where the course fails to meet minimum course framework standards. The CTO-TSC™ will provide a simple method of assessing which training providers are self disclosing that they are compliant with a minimum training standard and which providers are not. The training provider warrants that they are in full compliance with the Training Standards Guidelines (An honour system). If our logo is used in web advertising it is done so by using the unaltered code exactly as per the above links to the code downloads including the linkback to this page. 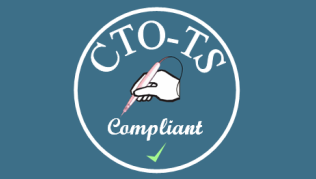 CosmeticTattoo.org retains the right to withdraw consent for use of the CTO-TSC™ declaration, acronym or logo in any instances where we believe that a training provider is not complying with the guidelines. 1.1 The presenter holds current formal qualifications in Training & Assessment that are recognised in the location where the training event is being held. After formal assessment the presenter is endorsed as an Instructor by a not for profit representative trade association that is exclusively dedicated to the field of cosmetic and or medical tattooing. The presenter has successfully completed a course of instruction and has a minimum of 5 years full time experience in the field of cosmetic tattooing specific to the intended course/training event content. 1.2 If the presenter does not hold the qualifications required in point 1.1 then the course/training event is provided in conjunction with and directly supervised by an Instructor who holds those qualifications. 1.3 The Presenter/Instructor holds professional indemnity insurance that covers both their practice and the practice of students under their instruction. 2.1 The event complies with all applicable local health and safety laws and regulations. 2.2 Course Participants are provided and expected to use Personal Protective Equipment that is appropriate to the training circumstances. 2.3 Course participants are advised to speak with their treating doctors about recommended vaccinations for skin penetration services. 2.4 All models have completed a medical disclosure pre-screening questionnaire which is evaluated for contraindications and absolute preclusions from the act of cosmetic tattooing. 2.5 Client case notes are completed for all models detailing the full nature of the service that is provided and the records are maintained locally in accordance with local records handling requirements. 2.6 Clinical waste and sharps are disposed of into regulation containers in accordance with local waste disposal regulations. 3.1 The venue provider is aware of the full nature and scope of the event. 3.2 If any live cosmetic tattoo services are provided during the event the venue has all appropriate local health authority approvals for skin penetration/tattoo services. 3.3 If any live cosmetic tattoo services are provided during the event the providers of those services, instructors, presenters and technicians hold all necessary local health authority approvals. 3.4 Hand hygiene facilities are readily available in any location where live cosmetic tattoo services are provided in accordance with local health authority requirements and routine hand hygiene compliance is expected of all course participants. 4.1 Course content complies with any existing local vocational education course outline related to cosmetic tattooing. 4.2 Training in advanced procedures and any form of para/medical tattooing is not provided to course participants until they have successfully completed instruction in the minimum areas of 'Core Competency Training' and have demonstrated a capacity to achieve positive client outcomes either by documented case files or via their extent and duration of practice. 4.3 Recognition for Prior Learning (RPL) may provide partial or total exemption from the requirements of point 4.2 on a case by case basis; examples include health professionals (Doctors, Nurses, Surgical Assistants), Aestheticians, Dermal Therapists etc. Salon Hygiene Risk Management - Micro-organisms & disease, fomites, waste disposal, management of sharps, routine salon cleaning, disinfecting/sterilisation, storage and maintenance of procedural supplies. Procedural Health, Safety and Hygiene - Local acts and regulations, personal protective equipment, hand hygiene, aseptic technique, trolley setup, hygiene barriers, pre and post procedure cleaning. Anatomy, Physiology & Morphology - relative to the specific procedures, skin types, phototypes, skin complaints, skin ageing, skin health. Post tattooing wound healing - stages of healing, infection prevention, promotion of healing, pigment retention. Colour Theory - Colour science, skin colour influences, colour selection, pigment mixing, colour changes during healing, causes and prevention of unexpected colour outcomes, colour adjustment. Equipment Usage - Correct use of cosmetic tattoo devices/tools, needle profiles, magnifiers, treatment beds/tables. Preparatory Exercises - Simulation/practice pad work prior to practical training. The Treatment Plan - Consultations, consent, indemnity and medical questionnaires, client pre and post treatment photographs, client record creation, contraindications, medical advice and preclusions, clients frequently asked questions, creating the treatment plan. Record Keeping - Client privacy, record keeping acts and regulations, storage and security, consent for promotional use, consent for third party access. Client Preparation - Environment, pain management, managing expectations, personality type / customising the appointment, skin preparation, makeup simulation, allergies and test patching, topical anaesthetics. 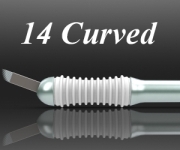 Procedural Techniques - Machine speed, needle use, needle angles, needle depth, hand speed, techniques specific to the treatment. Aftercare - client advice, provision of supplies, hand hygiene, infection prevention, signs of infection, post procedure contact and support. Problem solving - adverse outcomes, procedural injuries, infections, scarring, allergic reaction, short vs. long term reactions, colour corrections, colour change. Handling complaints - preventing disputes, dispute management. Professionalism & Ethics - advertising and promotions, false claims, tattoo regret, extreme treatments, high risk procedures and practices, informed consent, trade practices. Formal Assessments - Written and practical assessment and record keeping of student assessment for 10 years (shorter or longer period if specifically mandated by local training and assessment standards). Para/Medical Tattooing Any course that is provided to simulate normal anatomy or conceal / camouflage a defect related to an underlying medical condition - base information about the associated medical conditions including; commonest conditions, specific contraindications and preclusions, special precautions, circumstances for medical advice, withholding periods specific to the complaint or after medical treatments, limitations / scope of practice. 5.1 With the exception of certificates of attendance, achievement certificates are only provided where the course participant has met the required standard. 5.2 Certificates only specify techniques that were actually covered during the training period. 5.3 Certificates specify the date and time frame either in hours or 8 hour days that the participant was under instruction and or training hours are recorded in the students attainment record. NB. Use of the CTO-TSC™ logo, statement and or acronym by any training provider is on the basis of an honour system, CosmeticTattoo.org does not endorse or accept liability for the quality of training services provided by any training service provider and will not become involved in dispute resolution under any circumstances other than to withdraw consent for use of the acronym and logo as determined appropriate at our sole discretion. Guidelines are subject to change without notice and any new standards will be in force and effect at the time of change. CosmeticTattoo.org does not charge any fees associated with CTO-TSC™ initiative the sole intent is to encourage transparency by the industry in regards to training standards. This document is currently in draft mode and open to community feedback: interested parties may use the public comments facility on the right hand column or send a private message via the site support contact form. Copyright © 2016 CosmeticTattoo.org & the article author All Rights Reserved. No copying, transmission or reproduction of site content is permitted without our prior written consent.